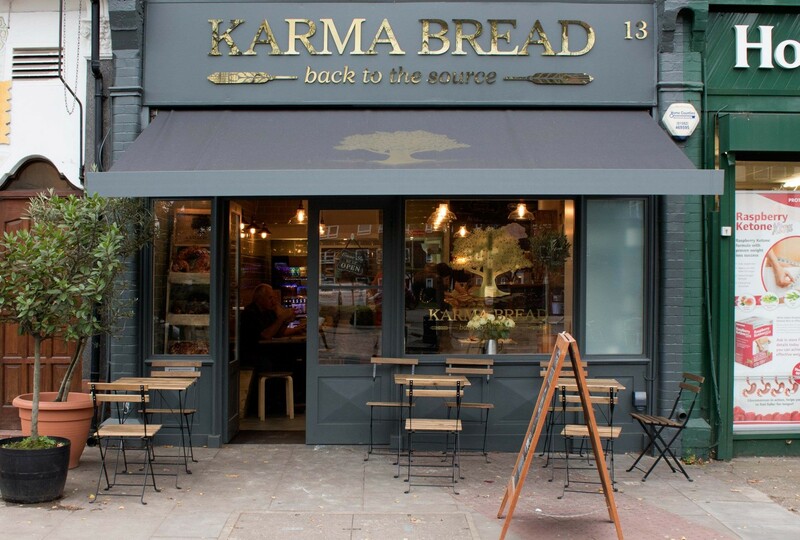 Karma Bread Bakehouse brings home baked warmth to the streets of Hampstead Heath, London. 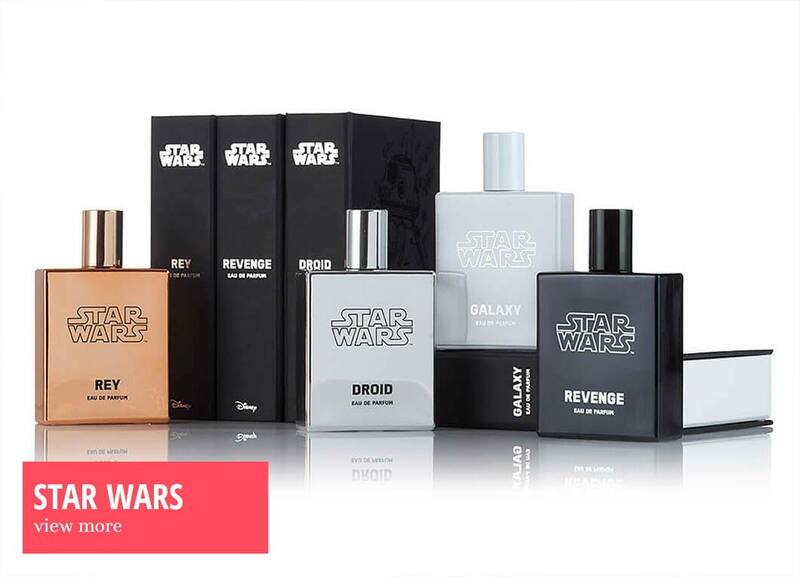 Their delicious products are handcrafted and lovingly created using only the purest ingredients, with no artificial improvers, chemicals or additives in our products. 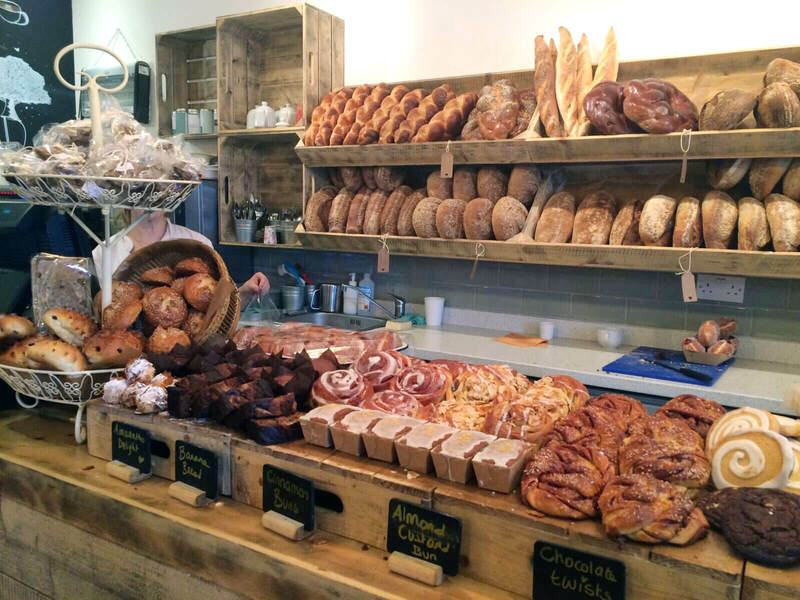 It is all about the bread..and more. 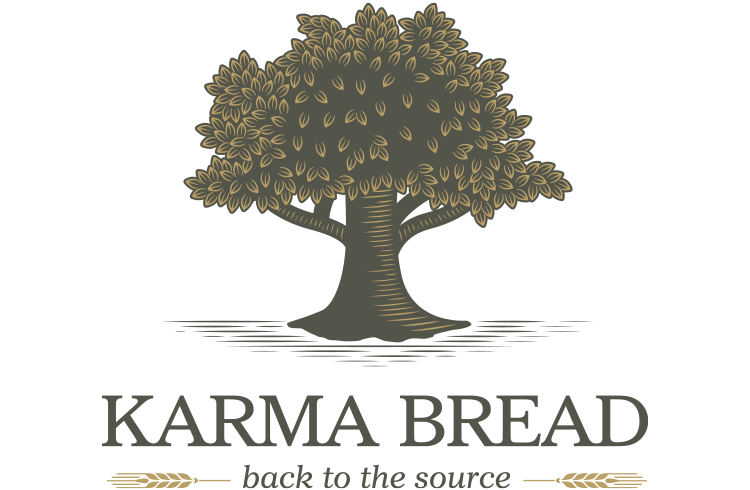 We were challenged to create a full brand identity and responsive website to showcase Karma Bread’s philosophy in an approachable way and to combine a feeling of their craftsmanship and spirituality. We produced a comprehensive brand experience for mass appeal that embodies craftsmanship, spirituality and approachability. Using an eye-catching ‘tree of life’ brandmark alongside the slogan ‘back to the source’ we signified Karma Bread’s ethos and all-natural ingredient list. The branding is simple and enduring for a long brand trajectory using a powerful but modest type treatment and a unique colour palette with sumptuous gold foil. 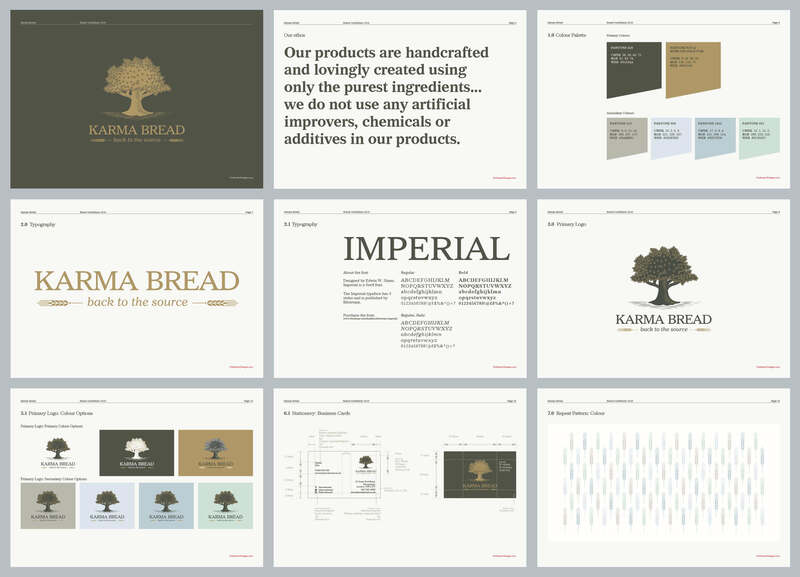 We designed a comprehensive 36 page brand guideline document that serves to guide future storytellers, designers and marketers about Karma Bread’s brand philosophy and ethos for communicating and developing the brand. 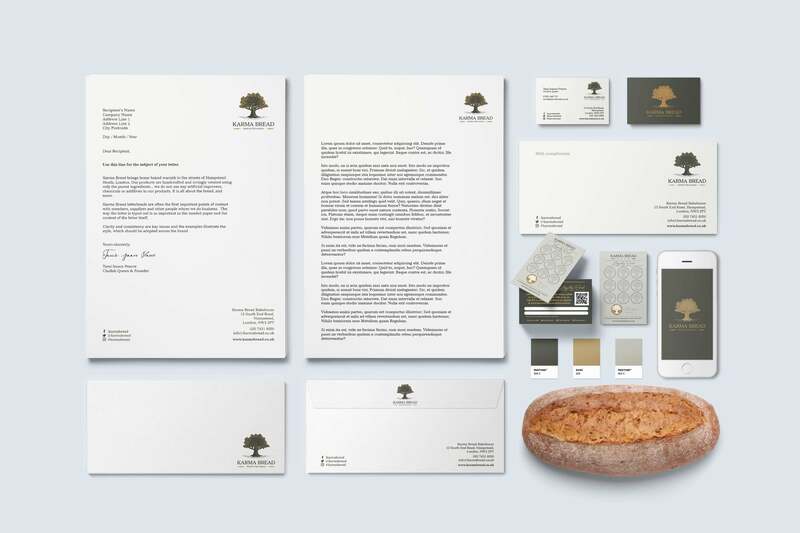 We created a stationery system that represents Karma Bread’s unique personality and style – using gold foils and a taupe colour palette throughout. 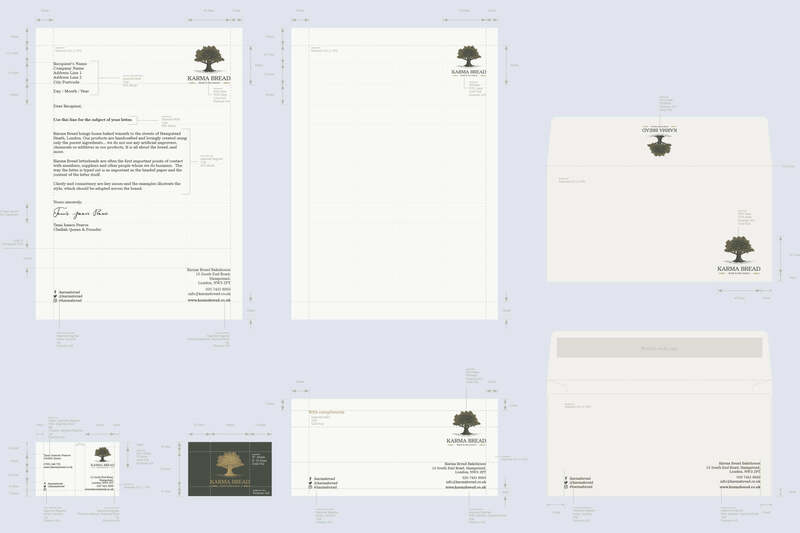 We applied the design to letterheads, continuation pages, business cards, compliment slips, envelopes and loyalty cards. 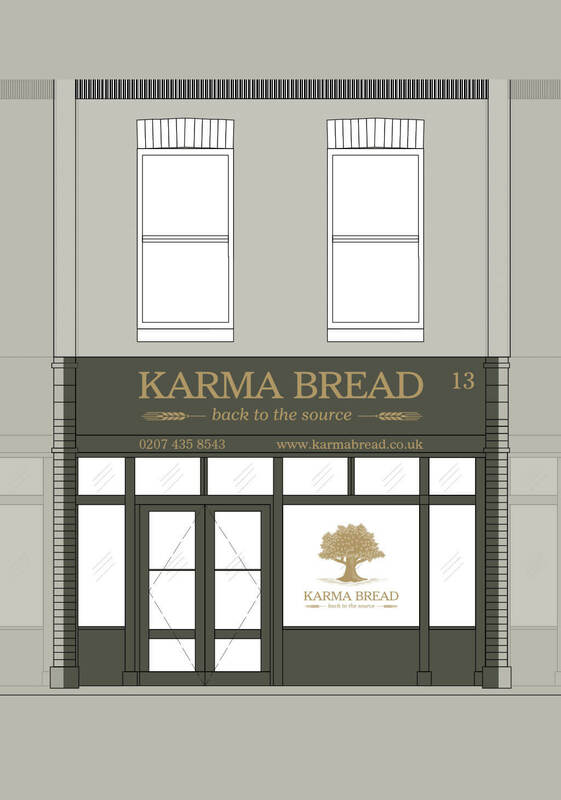 The result reflects Karma Breads craftsmanship, spirituality and organic ethos. 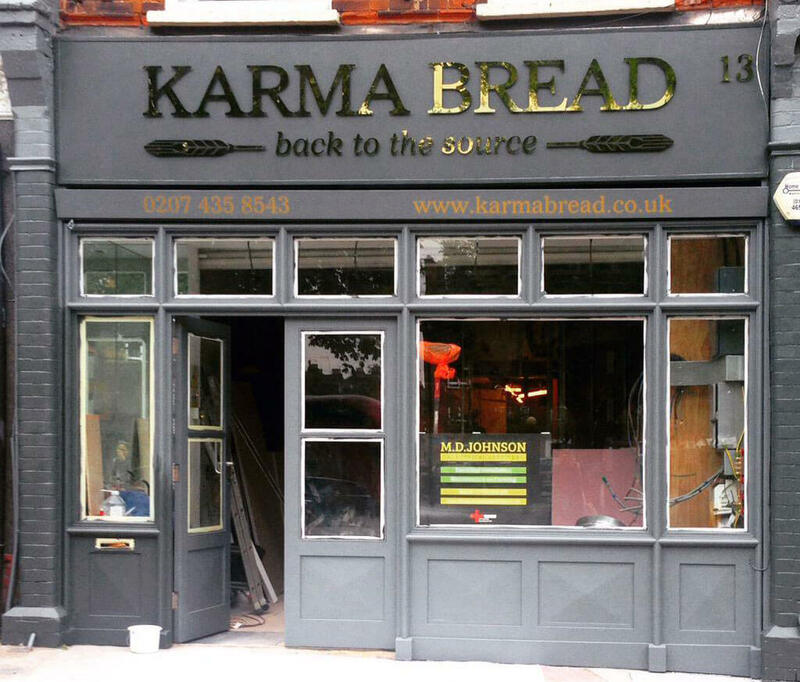 We designed an eye-catching shop exterior to compliment the Karma Bread brand experience using an olive and gold foil colour palette. 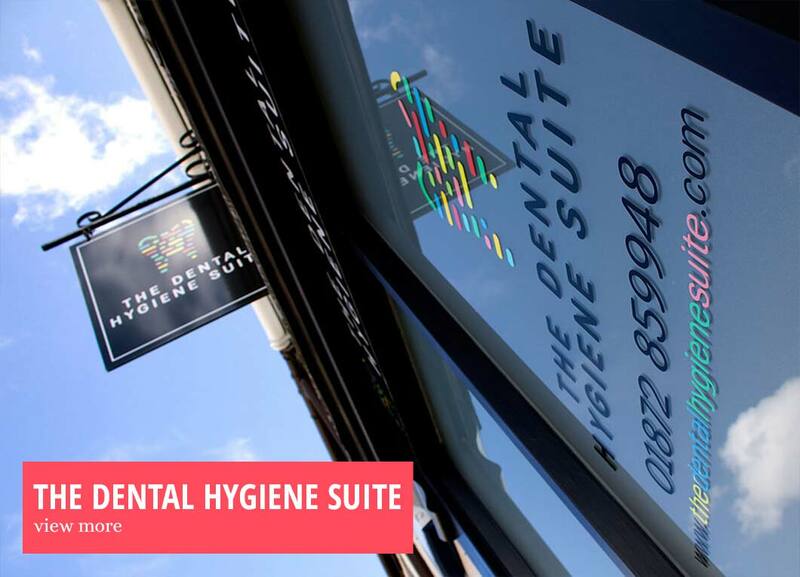 A luxurious mirrored gold logo covers the facia on the shop signage, complimented with a large gold foil logo printed on the main shop window. 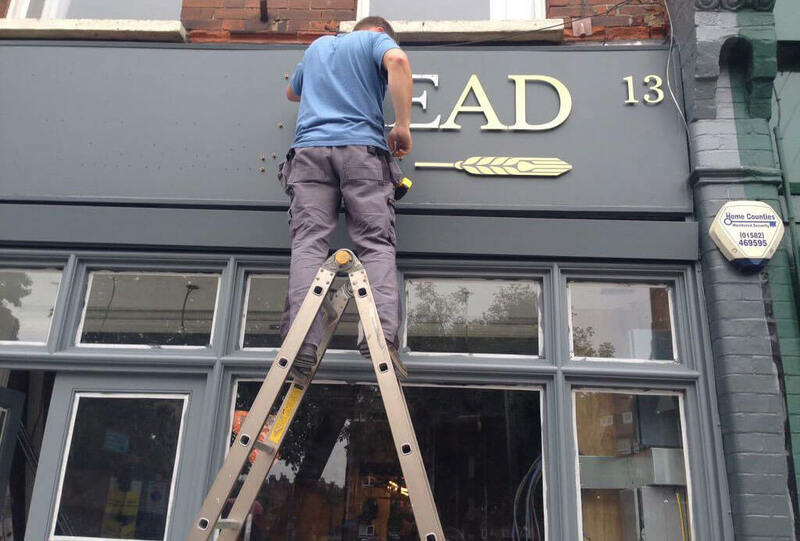 An adjustable awning is printed with a large ‘tree of life’ brandmark to protect customers from weather conditions. 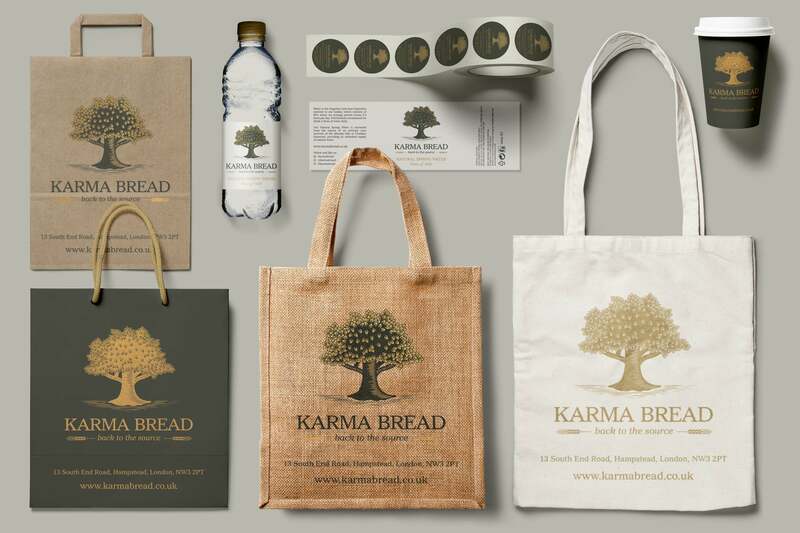 Karma Bread asked us to design an array of packaging and accessories for both day-to-day operations and marketing giveaways – we have worked with some excellent packaging printers over the years so could provide excellent recommendations for all items.  From paper bags, to water bottles, to sandwich paper wrap, to coffee cups – all items are on brand in Karma Breads unique colour palette.